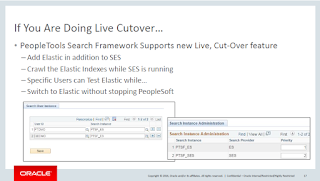 We are now waiting for Elasticsearch to be delivered in PeopleTools 8.56 and backported to 8.55. 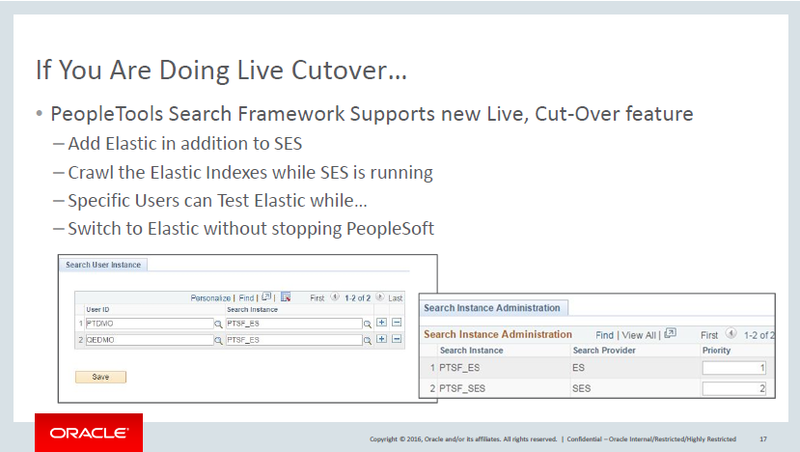 To ease the deployment, Oracle has included a feature where you can switch to Elastic without stopping PeopleSoft. You can configure several search sources with a priority. Once decommissioning SES, you will transparently switch to Elastic !